Got a one track mind? 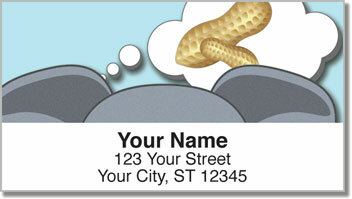 Coincidentally, so do the cartoon creatures featured on this amusing set of return address labels. Theres a kitten who's focused on a pesky little rodent - meantime the mouse has cheese on his brain. You'll also find puppy dog who is trying to find his bone and an elephant who would do anything for some salty peanuts. 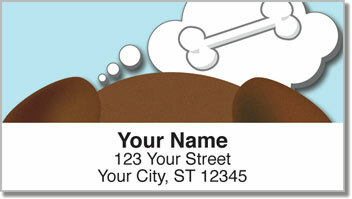 You probably have things you'd rather be thinking about instead of preparing outgoing mail. So use these handy labels to turn it into a job that is fast, easy and fun! 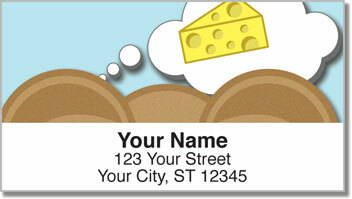 A self-adhesive backing lets you simply peel and place your return address on every envelope. Now get back to thinking about what's really important. 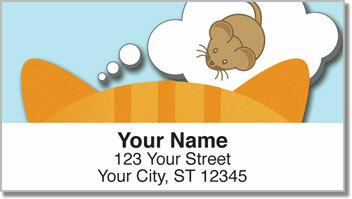 Order your very own Animal Instinct Address Labels today! Make it a set when you get matching personal checks too!